“The View” host Joy Behar attracted the wrath of co-host Meghan McCain on Monday when she attempted to use former President George H.W. Bush’s death to attack current President Donald Trump. 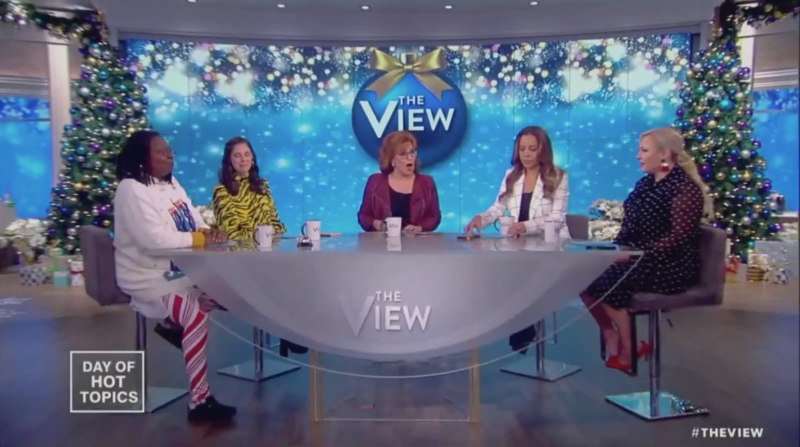 The panel of “The View” women were eulogizing Bush, who passed away late Friday night, when Behar compared his policies and views on climate change to those of Trump. “Okay, but we’re honoring — I’m not interested in your one-issue voter talk,” McCain shot back. The spat quickly turned nasty as the pair told each other they don’t care what the other has to say. “I don’t care what you’re interested in, I’m talking!” Behar asserted. “Well I don’t care what you’re interested in either,” McCain said aggressively. Co-host Whoopi Goldberg cut the tension by quickly announcing a commercial break.